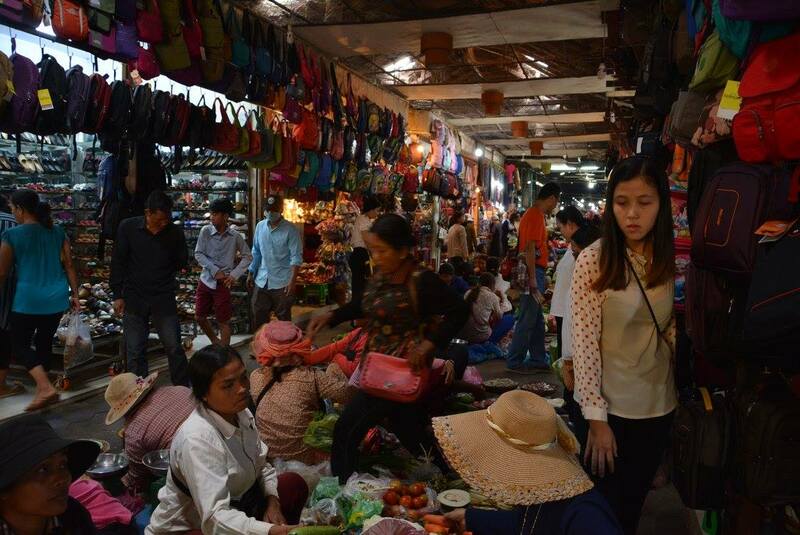 Fitting in with the chaotic city of Hanoi, was the market of mayhem (as I would describe it). This jam-packed, unorganised market was situated in a small hall but with all the stalls jotted everywhere it made the hall last forever. With 3 floors of tacky gifts, badly-designed clothes, and poorly-made accessories with horrific mistakes, there was nothing nice I could really comment on; experiencing it was bad enough. Through the narrow alleyways just outside of the hall was the food market where I saw some disgusting and horrible sites (which I won't mention); sadly which are sometimes unexpected and unavoidable. A street which comes alive a night, where locals set out their stalls on either side of the street or in the middle, creating two isles for people to walk down. The stalls ranged from a mix of clothes, including thousands of 'gap yah' trousers, to beautifully hand-made gifts such as paintings, notebooks, bags etc. I think a lot of people would say this market is more of a unique and deluxe outdoor market. You can wonder through the market whilst enjoying a cup of freshly made juice. Out of all these markets, this was probably the biggest as it was divided into 2 sections, one on either side of the river. One side which had just clothes, art, accessories and souvenirs; and the other side which is everything just mentioned plus a manic food market in the center and jewellery. 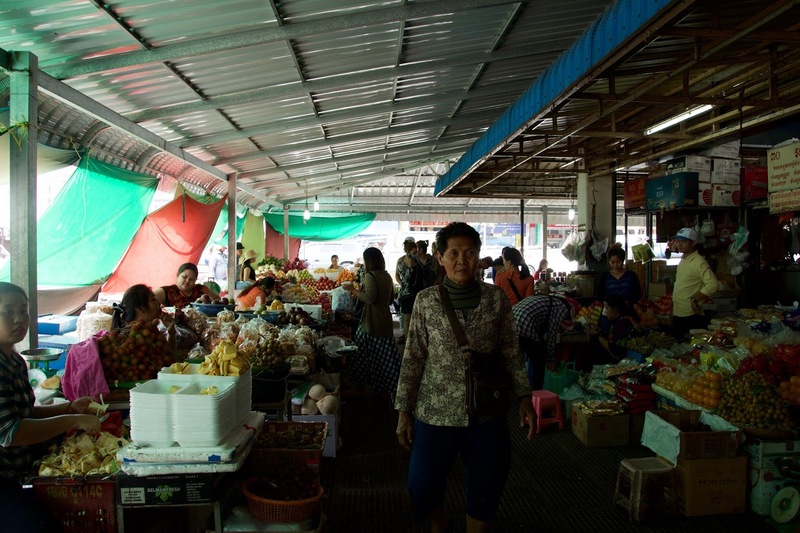 When i found the food markets it was something I've never quite witnessed before. With restaurant-type stalls set up in the middle, not-so fresh fruits and vegetables being sold on the ground, fish guts flying all over the place (literally, being thrown from person to person) to jewellery being sold just opposite; what a contrast! It was all so bizarre to watch. I can't help but think that the jewellery must smell of a mixture of fish and meat. 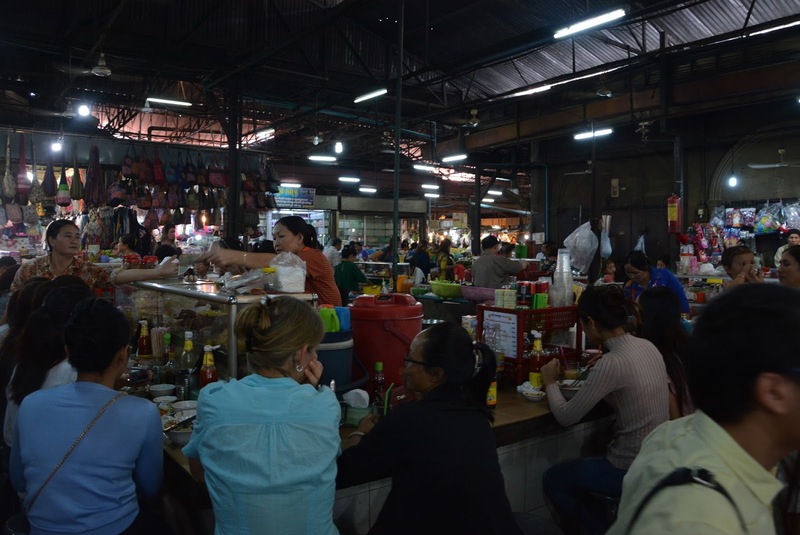 Compared to Siem reap's market, this wasn't much better; in fact, it may have been worse by a fraction. Maybe even the worst market I have ever been to. 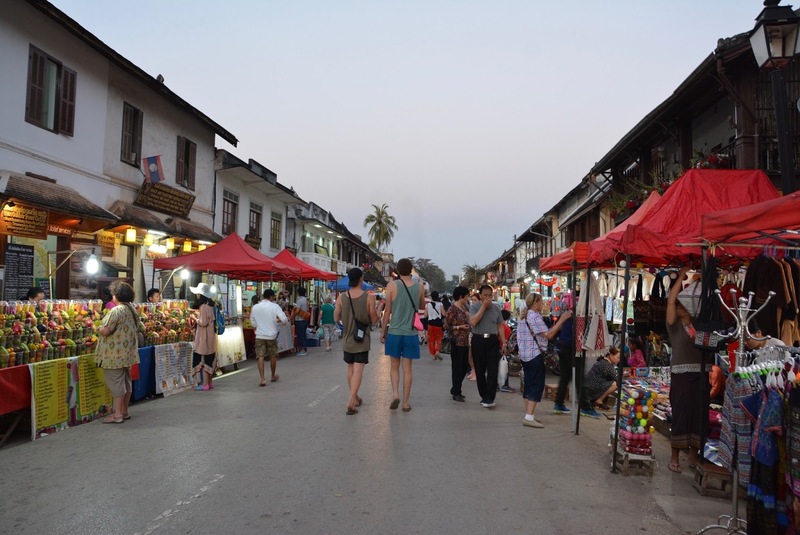 Dirty paths, smelly stalls, narrow alleyways; the ultimate street market experience? Isn't this what everyone expects from a street market anyway? To be truthful, by this time I had had enough of seeing markets and all the same sights over and over again so this definitely didn't help my overall judgement of the market. One major impact that stood out in this market were the people; they were NOT friendly, they didn't seem bothered to sell anything to me (which was, I guess, a good thing for me as I wasn't in the mood at the time) and they were a bit disgusting and disrespectful in general. From the title you would expect arty stalls everywhere but you get a few more stalls with clothes and souvenirs as well so don't be misled! 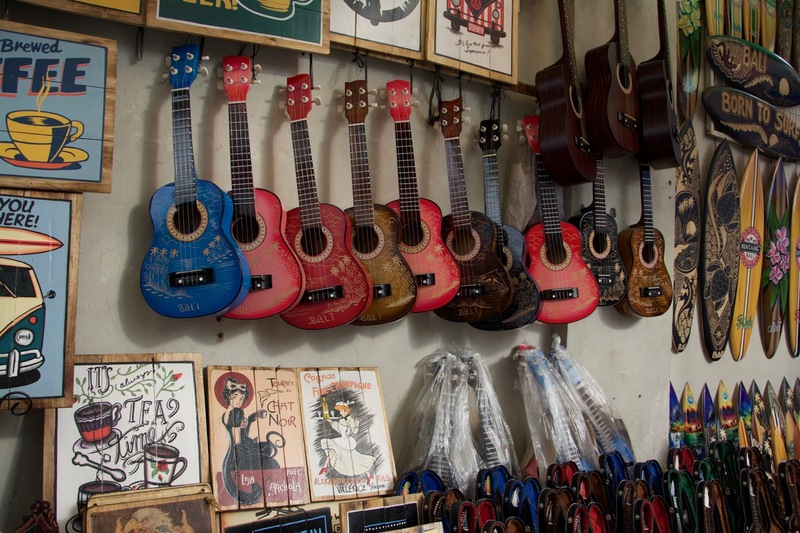 Some places in Bali don't have street markets, they are more just the common market stalls jotted along the streets. However, in Ubud, just opposite the lane where my hostel was, there was a market which seemed like a maze once you go through as it went on forever with stalls in every direction. You (well this happened to me anyway) will never find the same stall again once you enter the market. The stalls here are actually quite decent but some areas were very, very clustered so you didn't really get a look in. The locals like to rip you off MAJORLY! If you aren't a good haggler then be prepared to pay a lot for a shirt. I bought a Nike top which I only wanted to pay a few pounds for, the lady wanted 200,000 Rupiah (£12!!) and I managed to bargain down to 30,000 which is just under £2, she wasn't tricking me! !